Deadpool Reviews – What Did You Think?! 20th Century Fox‘s Deadpool is now playing in theaters worldwide and we’ve created this spot for you to tell us and your fellow moviegoers what you thought about the Tim Miller-directed comic book adaptation, starring Ryan Reynolds stars as the title character alongside T.J. Miller as Weasel, Gina Carano as Angel Dust, Brianna Hildebrand as Negasonic Teenage Warhead, Morena Baccarin as Copycat, and Ed Skrein as Ajax. The film also features the mutant Colossus, voiced by Serbian actor Stefan Kapicic. Write your Deadpool reviews in the comments below and you can read our review by clicking here. You can also watch our interviews with Reynolds, T.J. Miller and the Merc with a Mouth himself here. 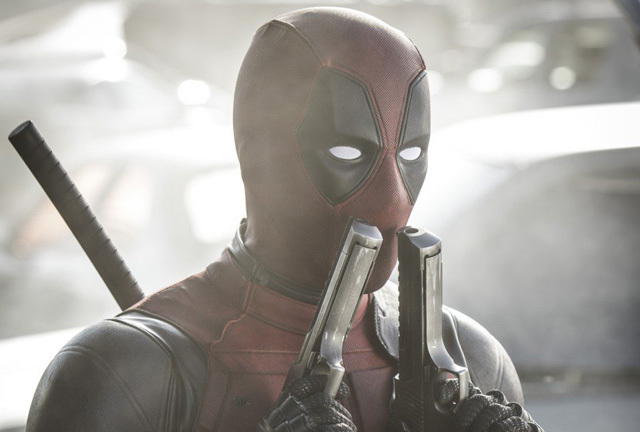 Tags: Deadpool, Reviews, What Did You Think? !